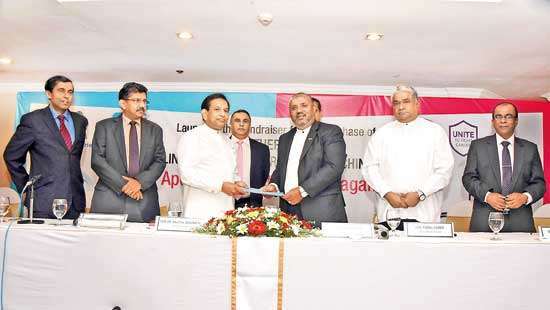 The Cake Convention, a momentous event and the first of its kind, took place in Sri Lanka, on August 18th in the prestigious Hilton Colombo. 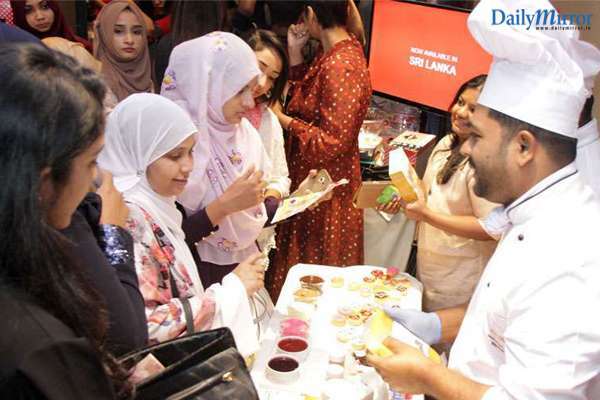 Hosted by Dubai based cake artist and entrepreneur, ReemaSiraj, this illustrious gathering was an event aimed at expanding connections, far and wide, within the baking industry in SriLanka. 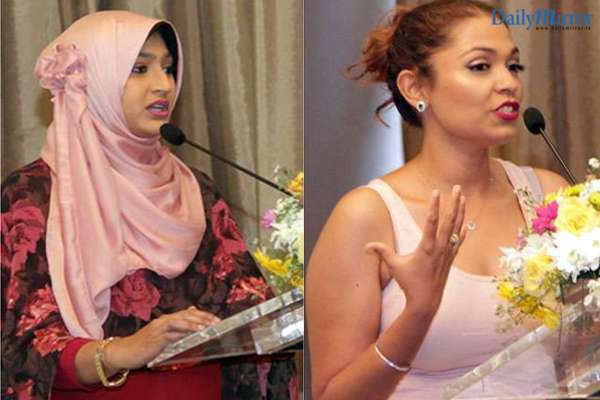 Being a SriLankan citizen who lives abroad, Reema noticed something quite outstanding, in the rest of the world, networking within communities was a huge concept and a viral trend in every industry including the baking world! But here, she sensed there was a huge void in that aspect. There was no real interface where bakers could connect with one another and share ideas. Determined to strengthen the affiliation of bakers from all areas of the country, Reema set out to create a platform on which professionals and amateurs alike could display there creativity to one another in a poignant setting. 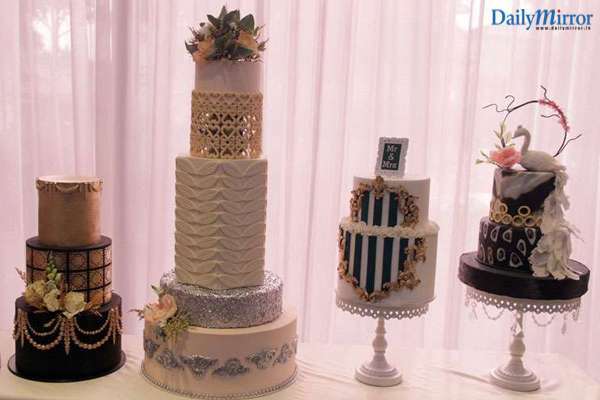 It’s safe to say the cake convention as we know it today, has evolved and proliferated far beyond its humble beginnings. Just over a year ago, ‘cake talks’ was a simple gathering of around 20 ladies that came from all walks of the baking industry. Through the course of conversation, exchanging of pleasantries and playing of games they realised that they had so much to share with one another and each of them had something unique and special to contribute to the event. This inspired Reema to nurture this kind of connecting further and stem this breathtaking opportunity out to as many people as possible. With the support of her organisersElegante& Co. and it’s co-founder Carl De Silva, Who has also been credited for being the driving force behind this event’s success, she created a group of strong minded women who were equally ambitious in making this glittering event a notable occasion. Undoubtedly, her sponsors,(Platinum sponsor) Spectra bakery solutions, (gold sponsors) Fonterra Brand, Homelux and (silver sponsor) AB Mauri Lanka, were at the forefront of all the exhilaration. The sponsors were able to showcase their amazing cakes, bakeware and other products and services to the guests in an impeccably organised hallway dedicated to browsing and showcasing talent. The event kicked off at 3pm and was initiated with an inspirational speech by RukshiNethicumara, the owner of one of Sri Lanka’s cake hotspots, Butter Boutique. 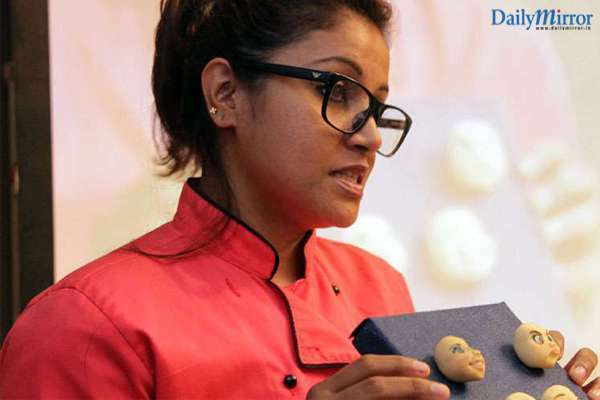 After calling it quits from her mother’s business, Rukshi set out to find her own path, Baking! What is now one of the most sought-after bakeries in Sri Lanka, started at the back of a garage in 2009. Endless attempts at perfecting her baking skills and a flurry of positive support from her friends, family and customers, inspired her to open her very first bakery on Flower road in 2015! 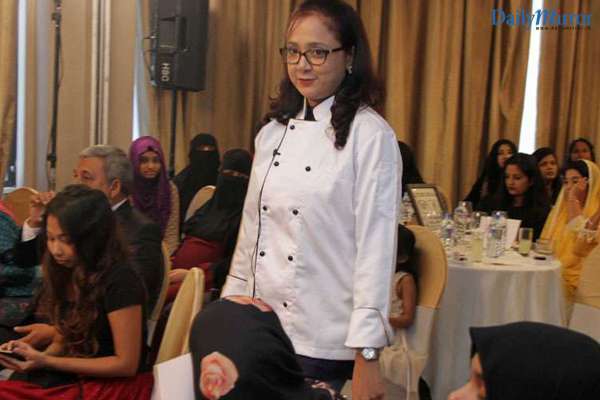 Since then her business and baking skills have from strength to strength and she now has three coveted bakeries scattered around Colombo. She ended her speech with two secrets to success. Firstly she insisted that maintaining quality consistently is the secret to success regardless of the field. Secondly she pressed on the importance of positivity and surrounding yourself with supportive people, to build an effective barrier from the hate and scorn success brings from negative people, as it’s even easier for trolls nowadays with social media being a major platform for their discern. The second person to take the stage was Chammarie Daniel, the proud owner and founder of Savy’s Cakes. This Self taught artist was one who had a hidden flair for creating life like sculptures that was enhanced when she merged it with her baking skills. 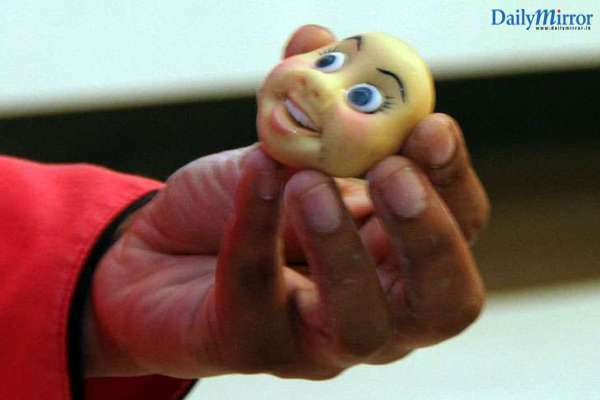 While demonstrating on stage, her unique techniques to achieve real ness in her work, Chammarie told the audience of how she discovered that figurines and sculptures, especially those that represent the client themselves, was an extremely niche market in SriLanka, but one that had a lot of potential. She went on to describe how she taught herself everything she knows through trial and error. She emphasised the importance of creating the perfect smile, with contours for lips and teeth on a figurine, as this is the factor that makes or breaks the realistic effect of a face. She demonstrated how small things like brush strokes and mixing mediums for colour can make a huge difference to the vulnerable art of sculpting. Chammarie finished her demonstrations and speech by advising emerging artists of the essence of “practice makes perfect”. The third speaker of the day was SumeyaThawoos, owner and founder of Baked with Love. She is a mother, a student and works an eight-to-five job all while managing her thriving baking business. 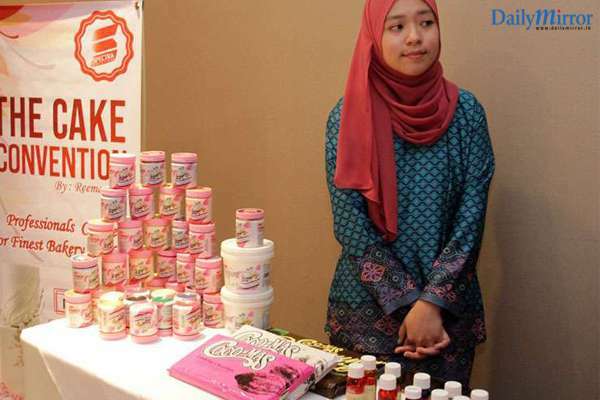 Inspired by her lecturer, Sumeya searched within herself to find her aptitude for baking and soon went on to pursue it as a career and develop it into her own business. She went on to credit the uniqueness of her work to the fact that she takes inspiration from her surroundings, people and even her emotions, rather can copy someone else’s work. She deems such copying to be a great obstacle in the way of a baker’s success. She also expressed her discern at the fact that some bakers take it one step further and actually steal another persons work to call it their own. 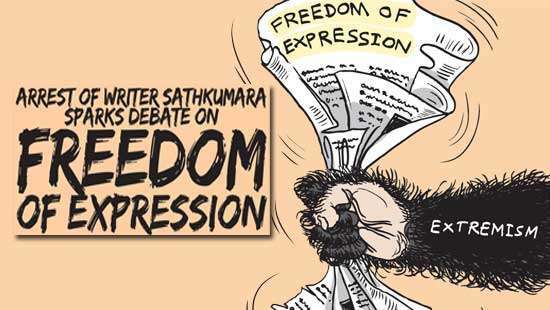 Copyright is something that hasn’t been stressed enough in the baking industry in SriLanka, so she pressed on the significance of giving due credit if you do have to copy someone else’s work upon the demand of a client. Touching back on the subject of drawing inspiration, Sumeya showed us one of her cakes that had been inspired by one of sarees of Aslam Hussain, whom she personally met to retrieve the themes based in this shared and root out the moods behind his designs. She ended her inspiring speech with a few words of advice; “See the good in another’s work and do the best to understand why you think it’s good”. With this the first segment of the event drew to a close! The guests were given an opportunity to mingle with one other and the sponsors stationed in the hallway. 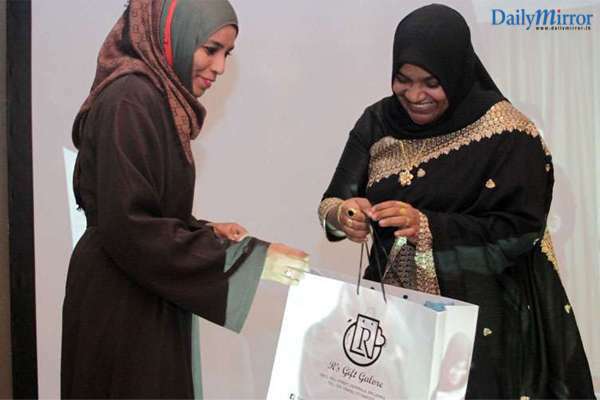 After the networking session, ReemaSiraj took the stage to give a demonstration of her signature roses. She shared tips and tricks on how to make a realistic looking rose. Due to time constraints she was only able to show audience how to make a rose bud. Some of her tips for starting included, using styrofoam to keep the centre light, wiring it from across rather than under, and using the correct consistency of gum paste. Once the base was ready she demonstrated how a petal should be carved with utmost care, starting by rolling it very thin on a foam base and using metal tools with the correct shape to achieve a real life texture. She then went on to show the audience how to build the calyx of the flower, by placing them very close together and stressing the importance of knotting the bud and creating thorns using floral tape all in the effort of maintains a realistic appeal. While the audience passed the finished rose bud along for observation, She advised how this method of petal making can be applied to the rest of rose, just by increasing the size each time the petal is supposed to grow in size. Next, a small game session was held. Where two teams of five went into an epic cupcake battle. The winning team got free entrance passes to the next Cake Convention which will be held next year. After a short presentation by anchor food proffessionals, about the differences between dairy and non dairy whipping creams, the last speaker of the evening FathimaNazrunNasoordeen, the owner and founder of Scrumptious Cups took to the stage. 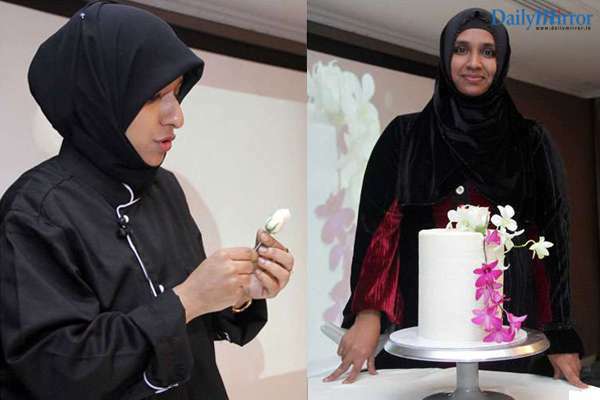 ReemaSiraj referred to her as the 'Buttercream Queen' because of her seamless talents in decorating cakes with buttercream. She demonstrated and shred important tips on how to make perfect buttercream cake including ideas such as refrigerating the cake before and using thicker layers as a pose to the more popular thin layers. She also advised how having bowl of hot of water by your side will help with keeping the tools tidy during the decorating process and result in a cleaner finish She ended the demonstration with a simple floral decoration and stated that going simple makes the cake look more elegant than overwhelming it with flowers. The interviewer went on to ask her more about her personal life and how she grew into the person she i today. When asked in regards to this, Reema replied; “Before my baking career took off, I was a fairly ordinary person. For eight years I was a kindergarten teacher, after which I proceeded to be a lecturer for early childhood education. After marriage I moved to Dubai with my husband and I am now a proud mother of three and an aspiring international cake artist. Her biggest piece of advice was to master the art of time management before anything else! Everybody has the same 24 hours in a day, but how you use it defines you! With this, Reema went on to thank the people who were so supportive of her throughout this process, her friends, family, colleagues and sponsors. She relayed her gratitude to every member in the room, who helped make a dream a reality! The event came to an end with a huge raffle draw, where all the sponsors, the speakers and other brands gave passes for free master classes, baking utensils, gift baskets and many more. 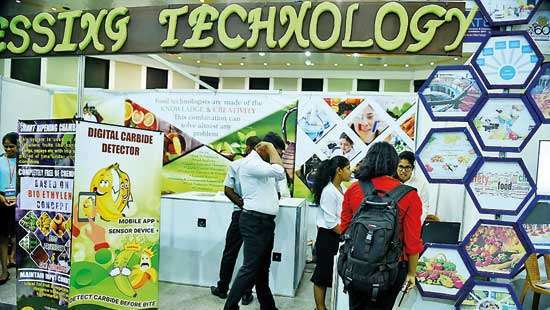 The Cake Convention marked a turning point in the industry of baking in Sri Lanka and will return next year, bigger and better.